Tomorrow is measure your foot day, so with that in mind, I wanted to take a minute and discuss finding the right fit for one specific type of shoe: running shoes. When you’re going to be pounding the pavement in a pair of sneakers (or even just hitting the treadmill) fit is crucial—poorly fitting shoes can lead to a host of runner’s ailments, including those infamous black toenails we runners love to hate. 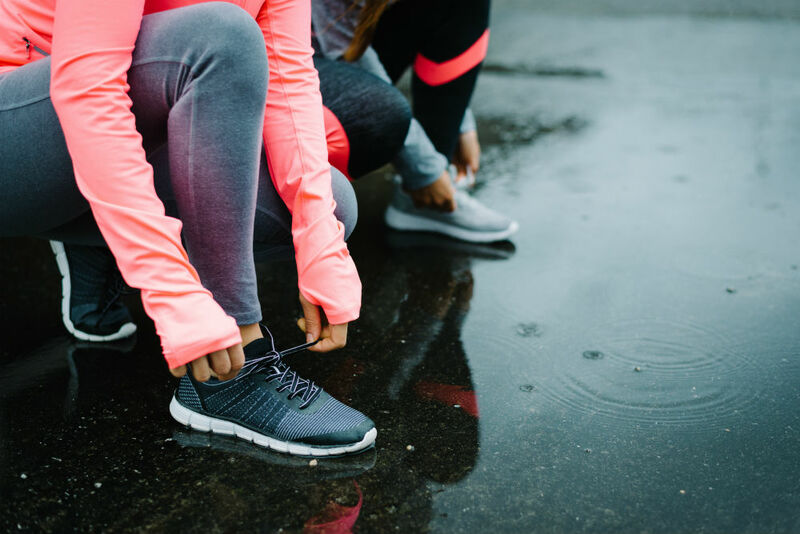 Recently, the American College of Sports Medicine (ACSM) released an official guide designed to help you pick the right sneaker. While not all of the suggestions will work for everyone, there does seem to be a lot of merit to their guidelines. 1. The ACSM suggests you don’t need a fancy shoe—a neutral sneaker, with no extra arch support or rigid motion control features is the best choice. Too much cushioning isn’t ideal—runners should seek out a shoe with enough room in the forefoot that they can easily wiggle their toes, the new rules dictate. 2. Another feature that the guide urges runners to examine is the height differential between the heel and toe of your shoe. While most sneakers have heels that sit 12 to 16 millimeters above the toe, the ACSM says that number should be no higher than 6 millimeters (1/4 inch). The reason? Exaggerated heel elevations promote heel-strike landings, which can lead to a greater force of impact for runners. Leveling the toe and heel promotes a more cushioned mid-foot strike, better for preventing foot injuries. Not about to stand in the shoe aisle with a measuring tape to pick out the best pair for your feet? Here are three suggestions for shoes that meet the ACSM’s standards: Nike’s Free Line sneakers offer shoes that have heel height differentials of 8, 6 and 4 millimeters; the Saucony Kinvara, with a heel-toe differential of just 4 millimeters; and the Altra Zero drop, which, as its name suggests, has no differential in height between toe and heel. 3. Of course, all of these recommendations for shoe selection must come second to a proper fit for your specific foot shape. Before purchasing a pair of running shoes, have your foot measured and make sure to run in the shoes—they should feel good right away, without a period of “breaking in.” And if you feel pain when you run in any of the shoes you select, be sure to visit your podiatrist immediately so that you don’t exacerbate a relatively minor injury.